Small spaces demand hardworking walls. 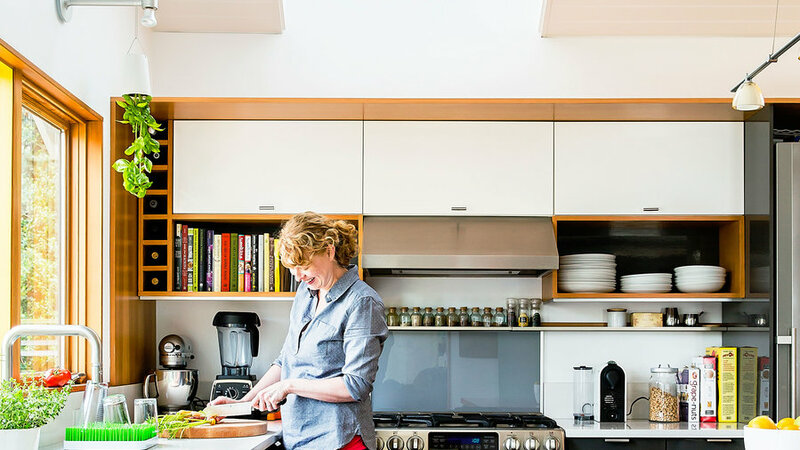 In this home's micro kitchen, the Ikea cabinet components (not custom) left some wall space after installation. 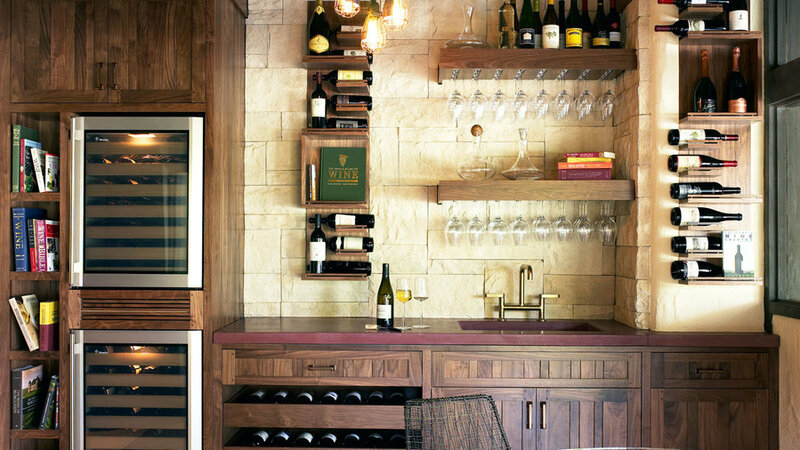 Homeowner and architect Kyle Zerbey customized the negative space with a shelf for cookbooks and cubbies for wine. Get those beautiful bottles off the butcher block and the pantry floor. 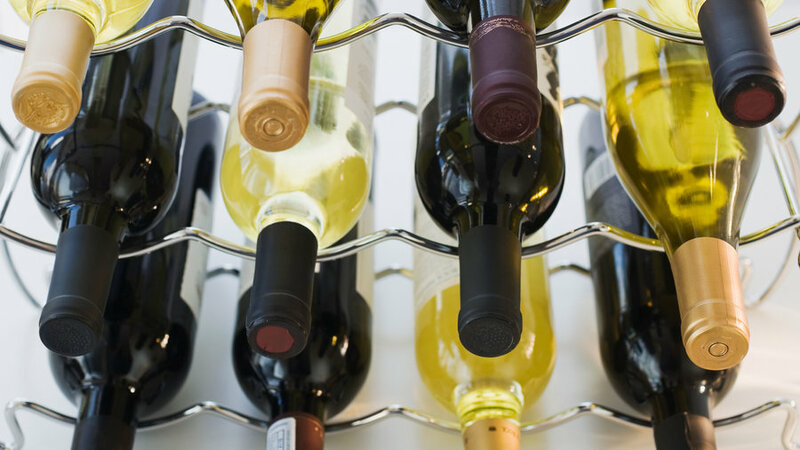 Off-the-shelf wine racks can reside wherever's convenient at home: on top of the fridge, on the dining room buffet, even on a living room shelf. Often wine tasting at home means the host emerges from the basement with a few choice bottles. Instead, consider keeping your vino within reach for entertaining. 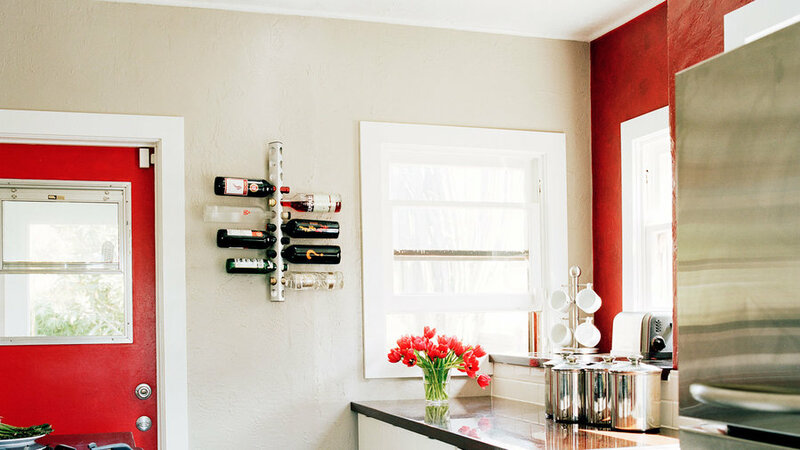 This wine bar nook is the envy of party guests, complete with a wine cooler and gallery-like bottle collection. Ready to admit you've got more than a starter collection? 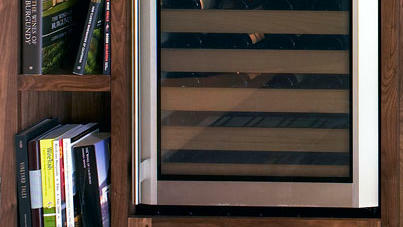 Choose a modular wine rack that can grow as your wine inventory does the same. These can be stacked or displayed side-by-side. 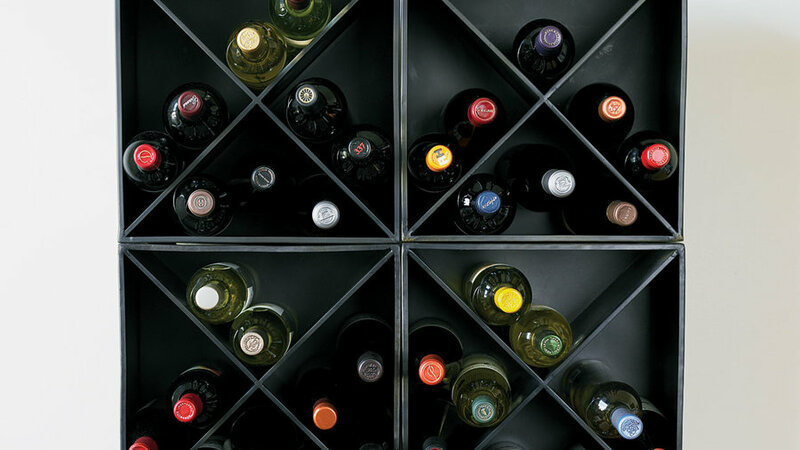 Have you started buying wine in cases? 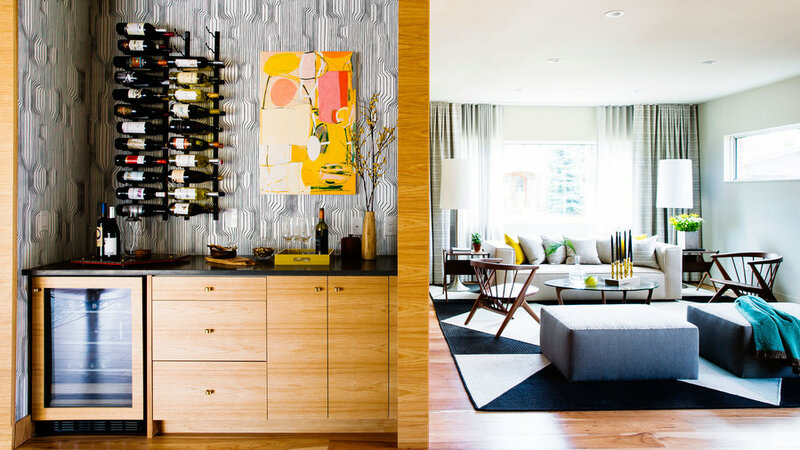 It's time for a wine-focused space at home. Dedicate an area--ideally in the basement, but a garage wall or spare closet works too--and get organized. Whatever the season, you want to serve your whites cold. 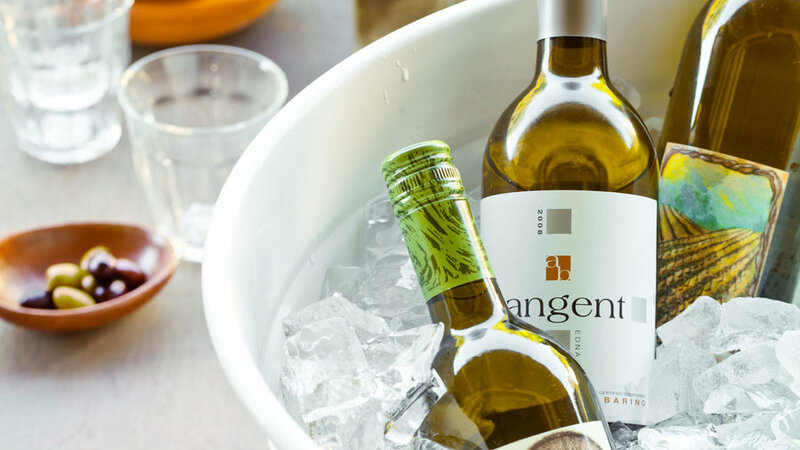 When entertaining, fill a wide and shallow vessel with ice, tuck in the bottles so the labels are visible, and let guests help themselves. More: Here's a handy tip for the fastest way to chill white wine. Spoiler: It doesn't involve the freezer. This custom American black walnut cabinetry is designed around a wine cooler keeping bottles at a consistent temperature. Short on storage space? A is a quick solution for homes with space constraints. (It's also a great choice for renters for whom built-ins aren't an option.) 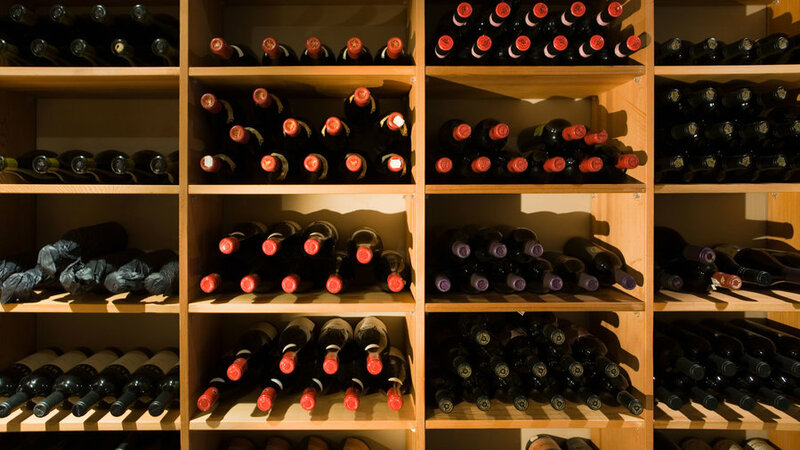 Turn bottle labels out so your wine inventory doubles as wall art.